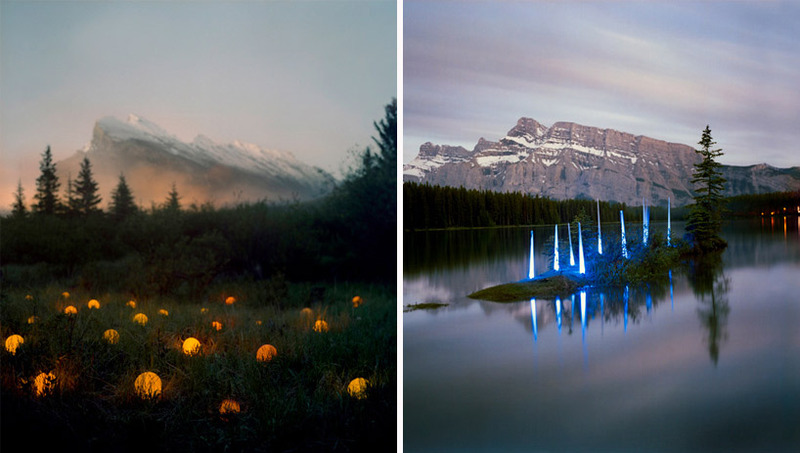 Some really nice examples of light installation art. By reading the landscape and altering the vista through lights and photographic effects, I transform everyday scenes into unique images. Light and color alter the perception of space, while defamiliarizing common objects. Space collapses, while the lights that I install appear as intrusions and interventions. This combination renders the forms in the landscape abstract. Inspired by cinema, land art, and contemporary painting, the resulting photographs are both surreal and familiar. They suggest a larger narrative, and yet that narrative remains elusive and mystifying. Some of the picutres make me think of Avatar. Facinating!